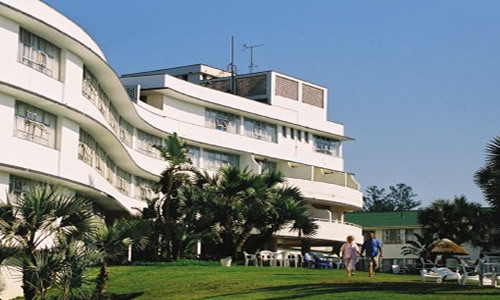 Timeshare at The Blue Marlin Hotel is situated on KwaZulu-Natal’s popular South Coast, just 300 metres from the beach. Set in lush sub-tropical gardens with an outdoor pool, this Timeshare hotel offers panoramic ocean views. The hotel’s facilities include both a swimming pool and a children’s pool. There’s also a children’s play area with a trampoline, swings and jungle gym.